I thought that this wasn’t serious: they’d hold me a few hours, find out that I had completed the military department and am studying at another university [these being two irrefutable reasons for a person not to be called for conscription by the military commissariat — Trans.] and would let me go. At the military commissariat it became clear that they had decided to play this game seriously. In the course of half an hour they had me see several doctors — they supposedly conducted a medical commission. The quickly found me fit for service in the army, completely ignoring my declarations about how I can not serve by medical indicators as well. Naturally, I showed them the student ID of the university where I’m studying, and said that I had already completed a university with a military department. They told me that the student ID could be fake, while documents on the awarding to me of a military rank [he would be a reserve officer after completing the military department at his university– Trans.] were lost by them. Soon an order was written on my conscription for service in the ranks of the army. It is noteworthy that the order itself they did not give me in my hands, so there would not be an opportunity to appeal it in judicial procedure. Then in a police care with a siren — real VIP treatment — they drove me off to an intake center. That too is where relatives brought medical documents, but they did not accept them from them, apparently so as not to spoil the intended plan. From the intake center, where they quickly took care of all the formalities of conscription, they drove me to near Dmitrov of Moscow Oblast. There I announced a hunger strike as a sign of protest against unlawful conscription. Soon they sent me off to Ryazan in the accompaniment of FSB officers, and from there — to a desolate military unit in a forest. To get to the village of Dubrovichi near Ryazan, where “my” military unit was found, is very difficult. They were confident that I have no communication, I’m isolated, the story will die down, and everything will be good for them. But at this time in Moscow there were already actions taking place in my support. And in general, everything went not according to the FSB’s script. First, I was able to get in touch with comrades-in-arms, we’ve got the experience. Second, I filed a complaint with the military procuracy of the Ryazan garrison for unlawful conscription. Third, I demanded an independent military certification. As a result of all this, they sent me off for a medical examination and started to check the circumstances of my conscription. (By the way, I should add that these results are not known to me to this day). After the examination at the Ryazan military hospital, they found me unfit for service in peacetime. Apparently, this decision of the Ryazan health care professionals did not fit into the FSB’s plans. Therefore, the central military-medical commission of the ministry of defense in Moscow noted this decision and directed me for a second examination to Krasnogorsk. I was there a long time, then they once again drove me to near Ryazan. In an ambulance. Good thing it’s still not in railroad cars for arrestees — “Stolypins” — and not in an autozak. From the military unit they let me out after the dissenters’ march, which took place in Moscow and St. Petersburg on 3 March, after the elections. It is noteworthy that they had the decision on demobilization already on 28 February. That is, they obviously didn’t want me to be able to take part in the march. PASKO: Oleg, it is known that this is already not the only case when an undesirable person is drafted into the army. Recently, such a thing took place with an opposition activist in Kirov, Denis Shadrin. Why all this? A trying out of methods? Is the power looking for and trying out new ways of intimidating and isolating those who actively speak out against it? KOZLOVSKY: It should be noted that even back in tsarist Russia this method — “shaving into a soldier” — was used against undesirables. Apparently, they’ve decided to resurrect it. The developers of such a method of isolation figured: there are lots and lots of violations in the military commissariats; one violation more, one less. And they also figure that people in society will think this isn’t political arbitrariness, but rather shortcomings in the work of the military commissariats. The method has justified itself to a certain extent: they succeeded in isolating me. Without opening a criminal case, without planting narcotics and weapons. I think that in such a situation, it’s very important to get the military to be held liable — so that henceforth they would think twice about whether to commit these dirty deeds on the orders of the FSB or to refuse. 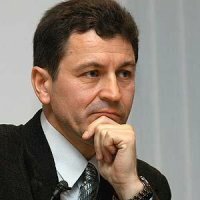 PASKO:You say “without opening a criminal case.” But they approve of this method too — the leader of the St. Petersburg “Yabloko”, Maxim Reznik, has been arrested, and in relation to him a criminal case has been opened, under which he faces deprivation of liberty for a term of five years. 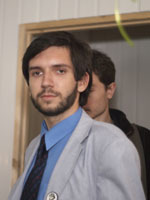 KOZLOVSKY: It is obvious that the provocation in relation to Maxim was being prepared for a long time and meticulously. He can’t be conscripted into the army — he’s got a non-conscriptional age. But it’s easy to entrap him in a fight: Maxim is an emotional person, everybody knows this. There are many in today’s Russia who dream of beating up a policeman who is exceeding his authority. No doubt they were counting on the public believing the policemen and their fairy tale about how Maxim had beat up several of the guardians of order. The precedent with Rezink is alarming. By the way, there already was such a case, and also with a representative of “Yabloko” — when they opened a criminal case against Ivan Bolshakov. That time the case fell apart. PASKO: Behind all of these cases — when they first are opened, then fall apart, then are maniacally opened once again, only now already in relation to other people — behind all of this I clearly see the signature of the FSB. What do you think on this account? KOZLOVSKY: I am confident that behind all these cases stands the FSB. Moreover, when they drove me to the assembly center in Moscow, they stuck a person in the car who congratulated everybody with the Day of the Chekist and everybody congratulated him. They didn’t even hide their affiliation with this organization. After all, what’s important for them is to kiss up to the power, to demonstrate that it’s not for naught that they’re getting high salaries, that they’re fighting “against extremism.” True, they fight with the hands of others: those of the military, the police. PASKO: There is an opinion that they’re still afraid of an orange revolution in the halls of the Kremlin. KOZLOVSKY: I think that they truly are afraid. The spectre of Maidan [the square in Kiev that was the focal point of Ukraine’s “Orange Revolution” — Trans.] is wandering around the Kremlin offices. And that’s why the methods of the struggle with other-thinking are getting harsher — as a manifestation of the power’s fear that it may one day be deprived of its power. PASKO: Maybe the power is in this way getting stronger, perfecting repressive methods? PASKO: They say that the power is afraid of the opposition. But it actively suppresses the dissenters’ marches, locks people up in special receivers, opens criminal cases. That doesn’t look too much like a manifestation of fear before the opposition. KOZLOVSKY: Repressions are effective when they are few. Violence and force everywhere becomes civil war. But now they want to get rid of the spectre of Maidan with relatively little blood. And to barricade themselves off against the coming of a new power, a democratic one. Because such a power will demand answers for all the crimes that are being committed by today’s power. PASKO: Did they intimidate you — with the army, the “special receiver”? KOZLOVSKY: Me, no. But this did make an impression on some. After all, people are used to feeling themselves comfortable. PASKO: By the way, we’ve forgotten to discuss yet another method of influencing those who think differently — putting them in psychiatric hospitals. KOZLOVSKY: Yes, that’s yet another old-new method — a dirty method, but effective in its own way. Here they’re counting on the psychology of the average person, on the fact that an unknown person is always suspicious. Maybe he really is crazy? And in the opposition, just like in the power, there are people who aren’t quite “normal.” Then, apparently the special services have still got the task of creating an image for an unwanted person, so that everyone would think that he’s, you know, “not quite all there.” They’re still not letting Vladimir Bukovsky forget that he’s supposedly crazy. That is, you need to smear a person, to attach the stigma of a madman on him. These methods need to be fought against; this is mocking and belittling a person and his human dignity. PASKO: Your assessment of the current state of our opposition? KOZLOVSKY: This state can not be called “inspiring optimism.” We did not succeed in radically turning Russia from Putin’s course. Therefore, this task still lies ahead and it is getting more complicated. The power is putting up concrete walls all around itself, and it’s getting harder and harder to break through them. On the other hand, the power is helping us by taking its actions to the point of absurdity: everybody, for example, could see for themselves that the elections — this is sheer unadulterated profanation. And everybody can see how the OMON disperse and beat completely harmless people. Everybody sees that there is a semi-military regime in the country. And all this they call “stability.” Such stability is characteristic of prisons and concentration camps. Support for the opposition is growing. We need to continue to put pressure on the power directly — to litigate with it, to participate in actions, marches, to try to express our point of view wherever possible. To interact directly with people. It needs to be clarified to people that democracy — this is not at all what we’ve got now in the country. Nor is it chaos. People need to be shown in what way they can protect their rights and have an influence on the power. PASKO: After the designation of the heir Medvedev, some people for some reason started talking about a thaw, liberalization in the country. KOZLOVSKY: I don’t see a single reason for such talk. On what grounds do they call him a liberal? Just what has he done, or even said, that distinguishes him from Putin? Putin also always talked about democracy and freedom of the mass media, but did everything just the opposite. They say: Medvedev — is a lawyer. But Putin’s supposedly a lawyer too! In my opinion, hopes for a better future with the coming of Medvedev into the Kremlin office — are illusory. He’s just as illegitimate as the recently appointed parliament. An illegitimate president and parliament ought to resign from office. PASKO: Thanks for the conversation. Best of luck!